The film that blew audiences away is back and bigger than ever with more than two hours special feature material that will give viewers even more reasons to "Bring Him Home." Audience everywhere can journey back to Mars with the all-new extended cut of the 7-time Academy Award nominated space film The Martian coming to Digital HD, DVD, Blu-ray and 4K Ultra HD on June 7, 2016. The Martian earned $228.4 million domestically and $630.1 million worldwide from a $108 million budget during its theatrical run last year. The extended edition from Fox Home Entertainment includes an extended cut featuring 10 minutes of brand new footage not shown in theaters as well as more than two hours of behind-the-scenes content. Included in the new material is audio commentary by renowned director Ridley Scott, writer/executive producer Drew Goddard and author of the novel Andy Weir. There is also a documentary of the science behind recreating Mars for the film; interviews with NASA specialists and engineers; and a Q&A panel discussion about the planned journey to mars featuring commentary from NASA experts. 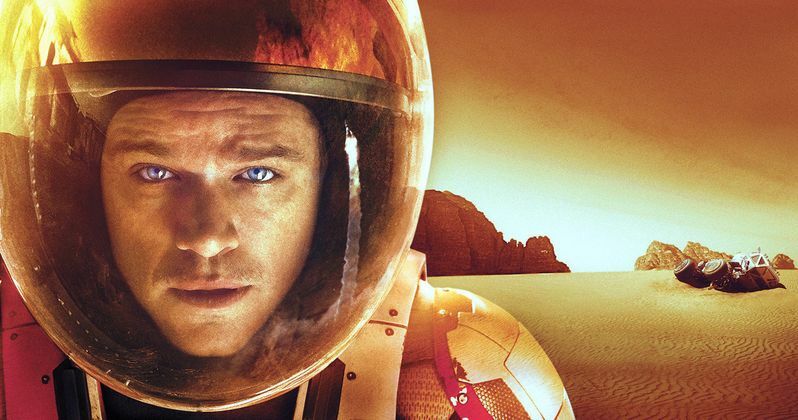 The Martian is one of the most talked about films of the year and has been named one of the best movies of the year by groups such as National Board of Review, which also awarded top honors to Ridley Scott for Best Director, Matt Damon for Best Actor and Drew Goddard for Best Adapted Screenplay. Based on a best-selling novel, and helmed by master director Ridley Scott, The Martian features a star studded cast that includes Jessica Chastain, Kristen Wiig, Kate Mara, Michael Peña, Jeff Daniels, Chiwetel Ejiofor and Donald Glover. The Martian was released on Blu-ray and DVD back in January, following its theatrical release, but fans will surely not want to miss the extra footage contained in this Extended Edition. No details have been given about the new scenes that will be included in this new cut, but we'll be sure to keep you posted with more updates as we get closer to the June 7 release date. Until then, take a look at the cover art for The Martian Extended Edition below.